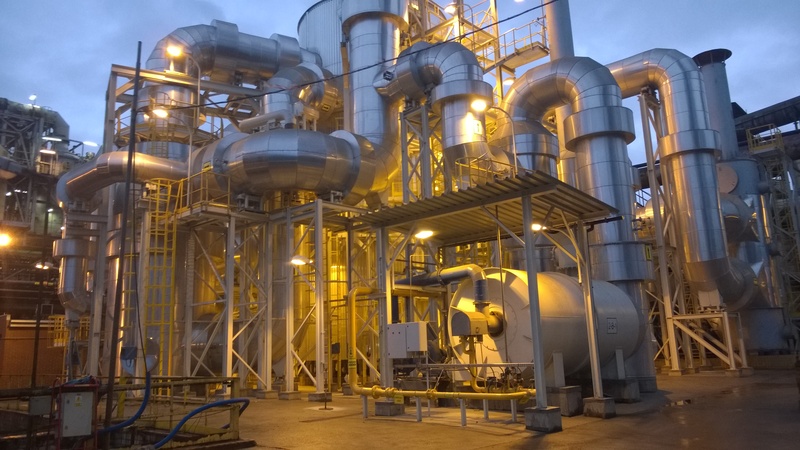 Huta Miedzi “Legnica” – Construction of a new contact unit for Sulphuric Acid Plant (2014). Huta Miedzi “Głogów” – Repair of roller presses No. IV with dedusting installations in 2014/2015 r.
Huta Miedzi “Głogów” – Modernisation of FKS in terms of building an additional reserve scrubber RFS – 100 and 500. 2014 r.
Huta Miedzi “Głogów” – Prefabrication and delivery in the “Installation of Dedusting and Wet Constructor Gas Desulfurization”. 2015 r.
Huta Miedzi “Głogów” – Spacers and securing of water and sewage networks within PZ and PE paths. 2015 r.
Huta Miedzi “Głogów” – Replacement of the TM16 bottling machine – construction and assembly works. 2016 r.
Huta Miedzi “Głogów” – Construction of the first absorption tower D302B. 2016 r.
Huta Miedzi “Głogów” – Construction and assembly works at the connections of the installation of concentrate roasting Cu. 2017 r.